Cru has smartphone apps to help you connect the people you care about to God. Each app is unique so no matter the person or situation, one of these apps will help you share the love of Jesus anywhere you have your phone! 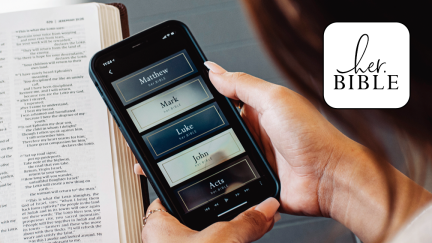 The GodTools app provides a clear, concise and easy way to present the gospel and offers the opportunity to receive Christ in over 70 languages. 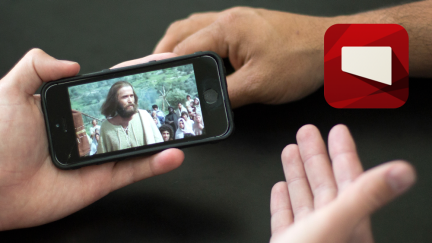 The Jesus Film Project app is a tool that enables you to use media to start spiritual conversations and share the story of Jesus in person and online with anyone around the world in their own heart language. 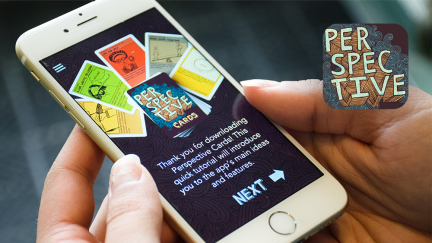 The Perspective Cards app creates a safe environment for enjoyable spiritual & gospel conversations to flow from the topic of worldview. Soularium is a set of 50 images & 5 questions that help people talk about their life and spiritual journey. The Every Student app helps you answer real questions about life and faith from anyone God brings your way and shows them reasons to begin a relationship with God. MissionHub is an app that is designed to help you organize, track and grow the relationships you have with others. Voke is a video-sharing app that uses short videos to help you start spiritual conversations with your friends. Get Voke and share what matters. First Steps is foundational follow-up material to help ground new Christians in their faith, take their first steps in their relationship with God, and help equip them to share their faith with others. GodTools equips you to confidently talk with others about how they can begin and grow their relationship with God … even if you’ve never shared your faith before. It gives you the words to help communicate the gospel clearly and simply. For more info and a helpful demonstration video, visit cru.org/godtools. "Life of Jesus (Gospel of John)"
Discipleship series like "Rivka" and "Walking with Jesus"
And many more as the library continues to grow! Many people’s worldviews are becoming increasingly eclectic, while the Christian worldview is becoming increasingly irrelevant and confusing. 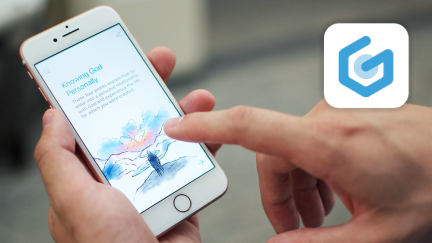 Perspective Cards App allows people to share what they believe, explore the Christian worldview, and take the next step on their spiritual journey in an environment where they feel safe. For more info and some helpful training videos, visit our Perspective Cards page. 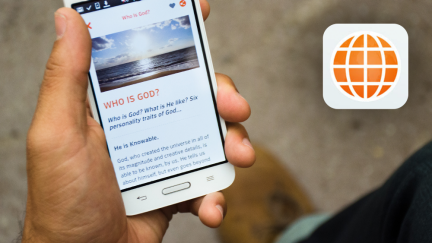 Articles and resources from Everystudent.com and Startingwithgod.com now in app form! 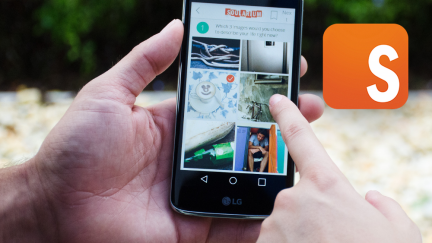 Imagine if you could share a video and know its impact – Voke makes that possible! Voke tells you when your friends are watching the video you shared with them so that you can chat in the moment of impact. 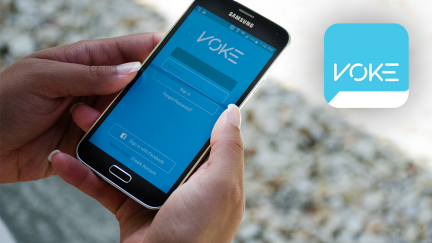 Voke now makes it easy, fun and rewarding to start conversations about faith in a non-threatening way. For more info and some helpful training videos, visit VokeApp.com. We are also developing My Cru, an app that helps you help others grow spiritually in the gaps between your face-to-face times with them. You can read more about it below. There is never enough time in the week to help your friends, classmates, co-workers, and bible study members take that next step in their faith journey. My Cru keeps it simple. Select and share powerful, relevant content to help the people you care about continue to grow in their walk with Christ during the gaps between your face-to-face connections. 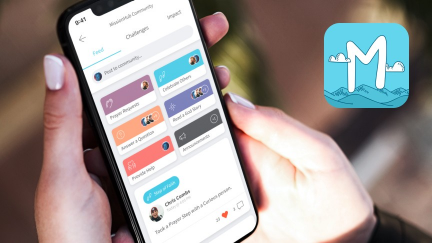 Then connect with them in the app as they go through the content so you can have deeper discussions when you are in person. Many students have taken the pledge to go, do, say or give whatever the Lord asks of them. We have create four 7 Day Challenges in My Cru to take the next step in living the pledge. For more info, go to Cru.org/Pledge. The Mentor Center helps you have spiritual conversations with people around the world without even stepping on a plane. You’ll help them know Jesus, one conversation at a time. For more info, go to TMM.io.